Terningsspill der det er om å gjøre å få tallene 1 – 9 ved terningskast. Ved start er tallene 1 -9 udekt. Første spiller kaster terningene, og han kan “lukke” tallene når han får kombinasjoner som er lik de “åpne” tallene. Turen går videre når han ikke får et “åpent” tall. Det er om å gjøre å lukke boksen helt. Fast, racy, polished … full of suspense and spiced with danger – that’s ‘the world of James Bond’. Larger than life, but a symptom of the times. James Bond’s world of international intrigue is our world – only more so. It is ruthless but civilised , tough but tantalising … a world of increasing pace and more exotic forms of relaxation. 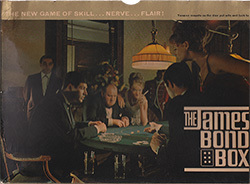 It is this world which has welcomed The James Bond Box – a fascinating new gambling game. Simple as Roulette. Calculating as Poker. Sophisticated as Chemin de Fer. 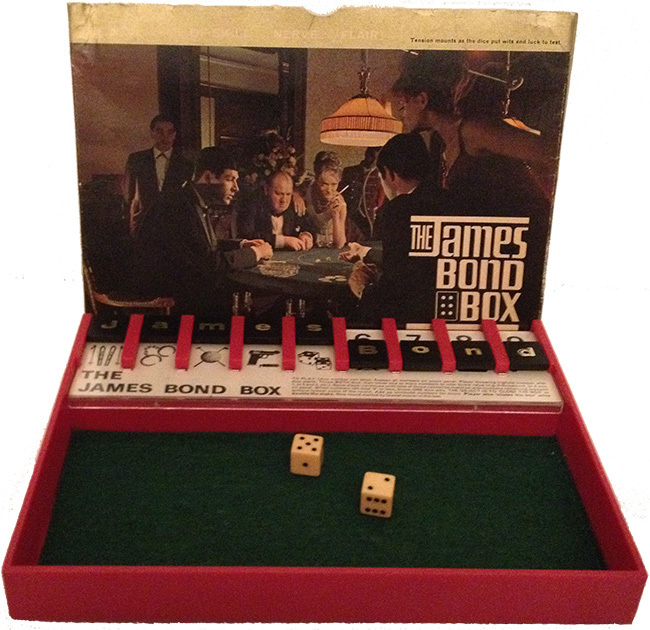 Here then is The James Bond Box – the ‘thriller’ game for you when ‘life is nothing but a heap of 6 to 4 against’. Your own portable Casino. Test your skill … nerve … flair. Add it to your arsenal of pleasure. 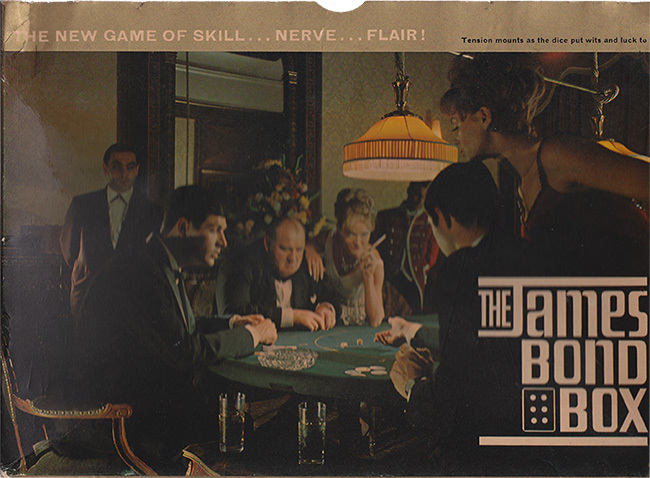 Play it at your club or at home, for high stakes or none. It’s the most fascinating antidote to care since television.